We arrived with no reservation. We conquered and we won the battle of the 'no available table till next June' battle. Yes, for those of you who is reading this at the moment, it is currently a six month wait to get a table for this fine establishment that has recently got everyone talking and raving about. Dabbous is the first venture from British Chef Ollie Dabbous (previously head chef of Texture). Although relatively new to the scene, it has already collated tonnes of rave reviews from critics and bloggers alike. It is also due to this popularity that the waiting list seem endless and on a wimp, my dining companion and I decided to try our luck with walk-in at 12 o'clock sharp last Tuesday. Thankfully, we got in no problem at all! 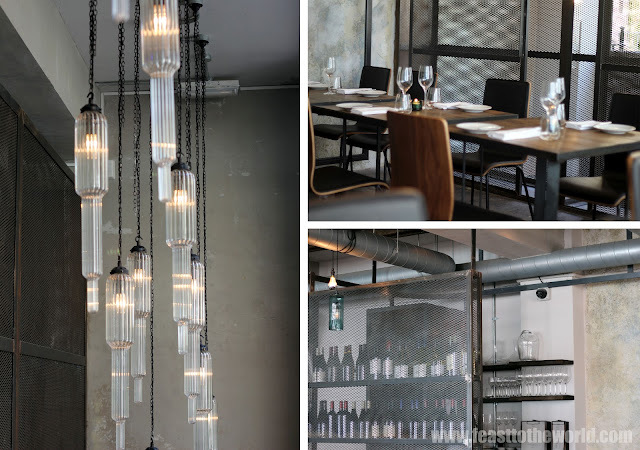 Dabbous, without a doubt is a stylish and well design restaurant. From the giant metal door that greet you as you approach to the stark and modern industrial-like interior. With concrete floors, metal mesh panels and paired down exposed walls, everything scream out urban contemporary. On recommendation from the waiter, we both went for tasting menu, which at £54 and 7 courses with the optional Cheese course at £9 supplement, seemed very reasonable. 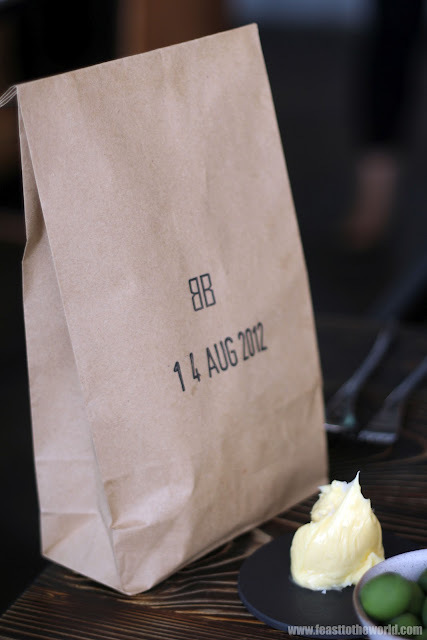 Almost immediately after placing the order, the waiter presented us with a mysterious looking bag. 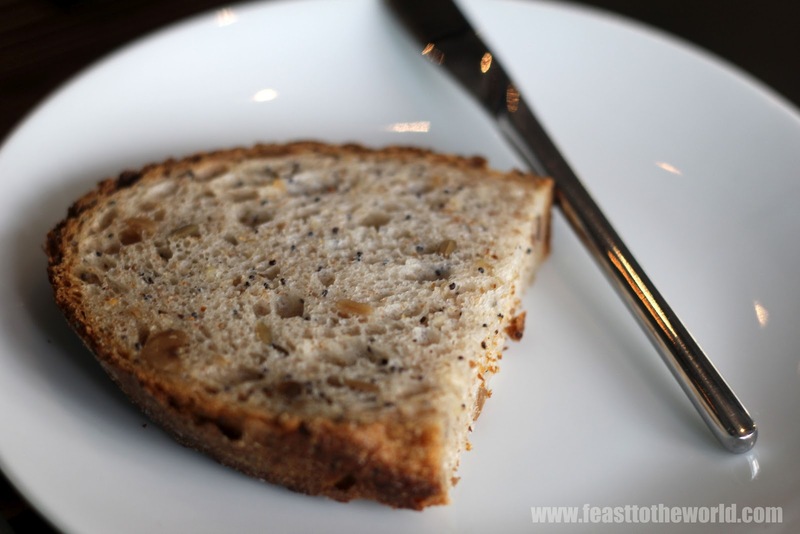 What lie inside was some homemade multiseed bread and along with it was their own churned butter. These were swiftly followed by the first course of on the menu - Peas with mint. Sounds simple on the menu but what appeared us was fresh peas that were so fresh that I gladly consumed the tender pod and all. 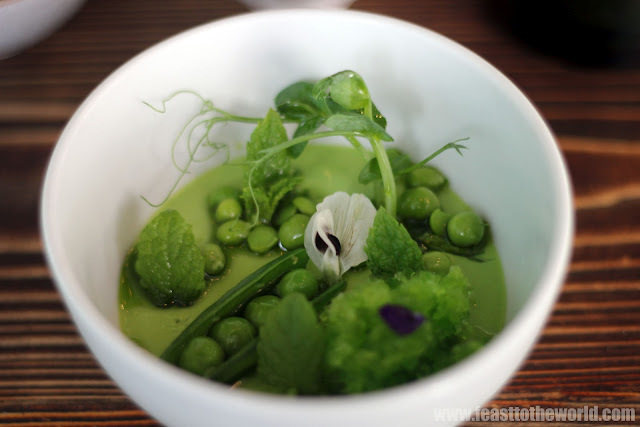 These were sat on top of some pea puree, along with flowers,shoots, granita and basil oil and mint. It not looked beautiful but also possessed flavours that both thrills and excites the palates. 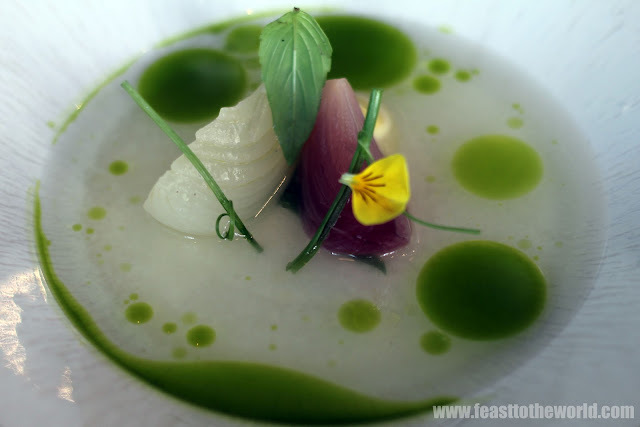 The next dish ' Mixed alliums in a chilled pine infusion' has a such complex flavours that all my senses came alive. 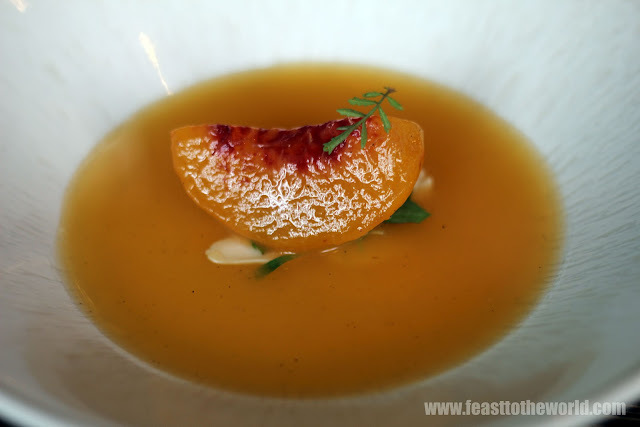 There's sweet, salty, tangy and the clear consommé has depth and richness unlike anything that I have taste (well that look as clear as water anyway). It was simply beautiful and marvellous. 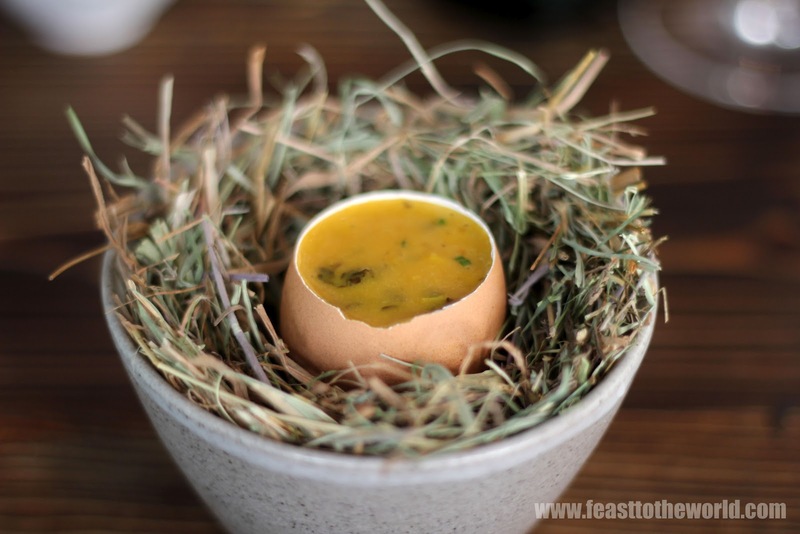 Coddled free range egg came nested in a bundle of hay, hidden within were woody woodland mushroom and smoked butter that gave a strong beefy punch to the creamy custard-like egg. Next up was the Braised halibut, served with an intense reduced sauce and coastal herbs. 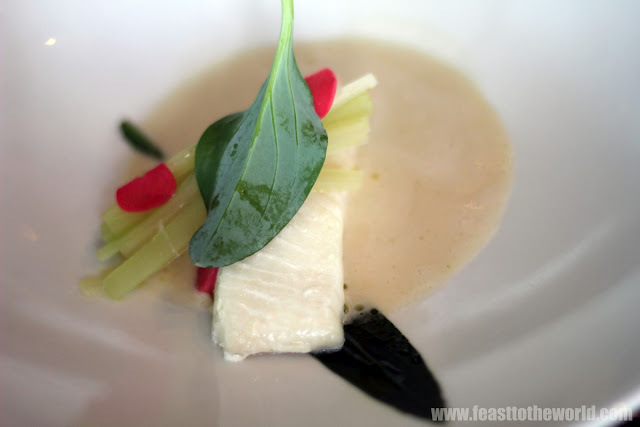 The fish was soft and delicate with just the right amount of flakiness, cooked to absolute perfection. The pickled celery add a nice tangy taste to the sublime dish. 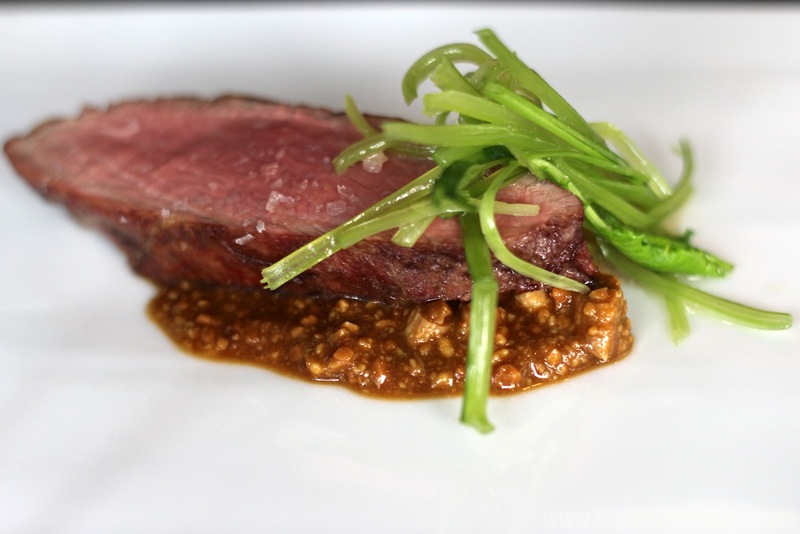 The Barbecued Iberico pork was truly divine. I don't think I have ever tasted pork quite like it. It was beautifully cooked, slightly reddish pink in the middle and so tender. This was served with the savoury acorn praline which is kind of like a rich nutty stay sauce reduced down with apple vinegar to sweet awesomeness. The refreshing addition of green-tasting turnip tops helped to cut through the richness and this was a very accomplished dish indeed. I would happily parted with another £16 (a la carte price) to have another helping of this. We opted out of the cheese course as I think it would be too much for lunch. So next came the pudding - Ripe peach that's been sous-vide in its own juice to yield a soft and perfumed fruit that is quite delectable. I'm normally not a huge fan of cooked fruit but this take the fruit to another level that I have never imagine it could attained (this is on par with the macerated strawberries from Roganic). Last came the Custard cream pie. A beautiful looking thing with banana purée at the bottom, top with delicate lemon-infused cream with scattered of perilla or shiso leaves in a thin crispy pastry cup. This taste just as good as it looked. 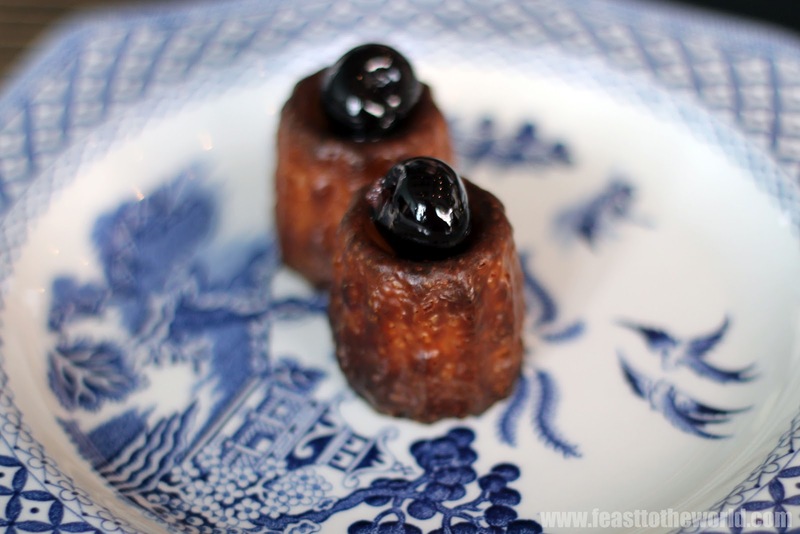 The little canelé was a nice little treats at the end of the meal but the base was a touch too crispy and dry for me , possible the only fault throughout the entire excellent meal. I think I'm in love. This restaurant deserves all the accolade that it's been given and all the high praises were well deserved. The food were not just great but excellent! 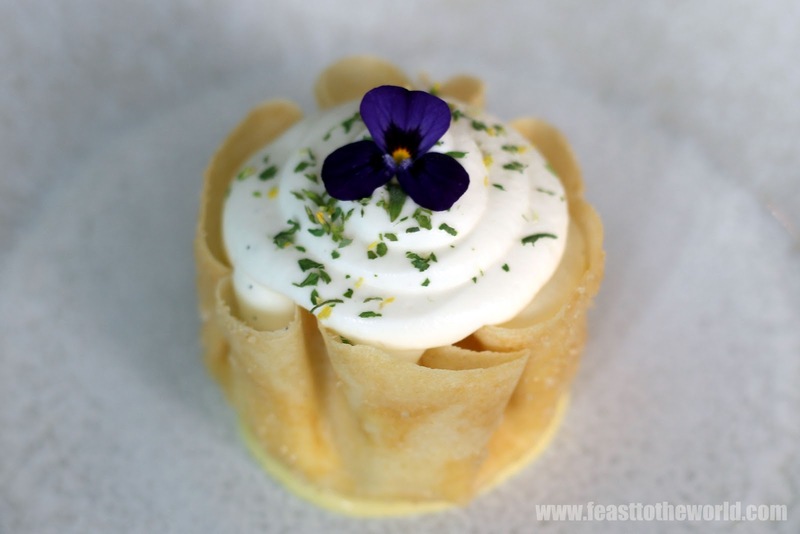 Everything that came out of the kitchen were just superbly executed and I think I will make my way back pretty soon (if I can get in of course). SUPER DUPER EXTREMELY JEALOUS! Did you just rock up and tried your luck? I want to goooooooooo…. We should definitely do another walk in! I'm booked in for 27th September... I am very excited!